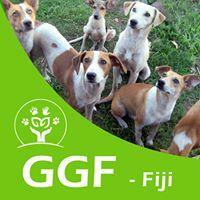 The Foundation operates Fiji's only Animal Sanctuary. It accommodates animals in dire need of help and functions as a rescue/welfare organization. The Greater Good Foundation is a charitable trust established under the Charitable Trust Act and a non-profit organization that aims to promote greater good with focus on children, animal welfare and our environment. Job Location: TAVARAU BA. Call 861 9700.